In an earlier post on the Integrated Learnings: eLearning blog, Jonathan mentioned embedding a YouTube video in a Lectora course title. We received a few calls asking for step-by-step instructions so here they are. Within your Lectora course, go to the page where you want the video and click the Add External HTML icon. Lectora adds the following item to your page. Many people’s reaction is “What in the world is this?” It really doesn’t matter; it’s just a placeholder for where your video will be. Now go to the YouTube video that you want to run in your course. In the upper right corner of the video’s YouTube page, you’ll see a URL line and an Embed line. 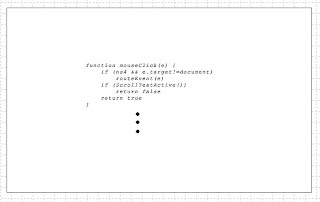 Highlight and copy all the code on the Embed line. Make sure that the Object Type is Other. Then paste the Embed code from YouTube into the Custom HTML area. 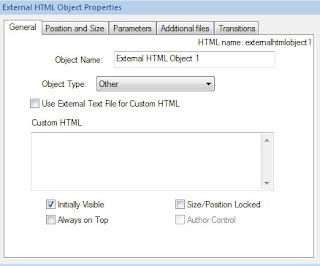 Click the Apply button for the object properties. That’s all there is to it! Remember that you must publish the course before the video will actually display. To test the video (and your course), always publish to HTML first (there’s no need to deal with SCORM or AICC settings for your initial test). Lectora will generate an HTML subfolder within your Lectora title’s directory. 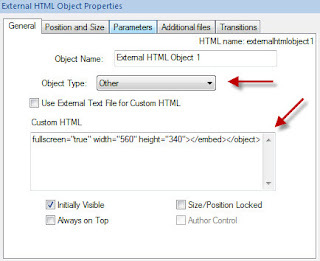 Find and open the appropriate HTML page in the subfolder and you should see the video run automatically. I hope that these instructions are helpful. If you have any questions, please let us know. This is helpful. Thanks! However, my video does not appear in the middle of the screen. I would like to shrink it a little. How do I do it? Thanks.